← Love Does Not Insist On Its Own Way! The following was originally posted in June of 2010, but the Truth I needed then can certainly be applied to me today. I am in constant need of God’s mercy and grace. And the best news is that His mercies are new every morning. We pray you’ll be encouraged by this post as well. If this is true – which we believe it is because God’s Word is TRUTH, then when I’m irritable I am not loving – period! 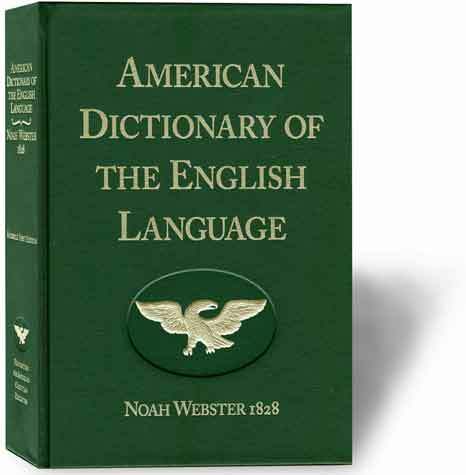 Webster’s 1828 Dictionary, which defines words in the English language based on its use in the Bible, says irritable means very susceptible of anger or passion; easily inflamed or exasperated; as an irritable temper. As I’ve mentioned, we are facing challenging circumstances in our home. My husband has been sick causing both of us to wish for better days. I have been irritable – the last thing he needs. Oh, I’m not angry at him – I know he can’t help it. And he’s doing all he can to get better. So if I’m not angry at him then, with whom am I angry? It must be the One who controls all things – God. I’m irritable because I don’t like what He’s planned for me at this time in my life. I want normal! I want peace! I want, I want! How selfish and ME-centered. I must remind myself of the Truth! God has provided much for me – more than I deserve. He has done for me that which I could never do for myself – made peace between Him and me. I will never understand such kindness, such mercy. As I meditate on this Truth I can feel my irritations taking a back seat to gratefulness. I am grateful beyond words! I may not have peace in my mind at this moment, but I have peace with God! Amazing!! It’s time to express my gratefulness to Tom. I hear these kind of words are like a healing balm to the soul. Maybe this was God’s plan all along! I can trust and love a God like this! And I can truly love my husband because God has first loved me! P.S. 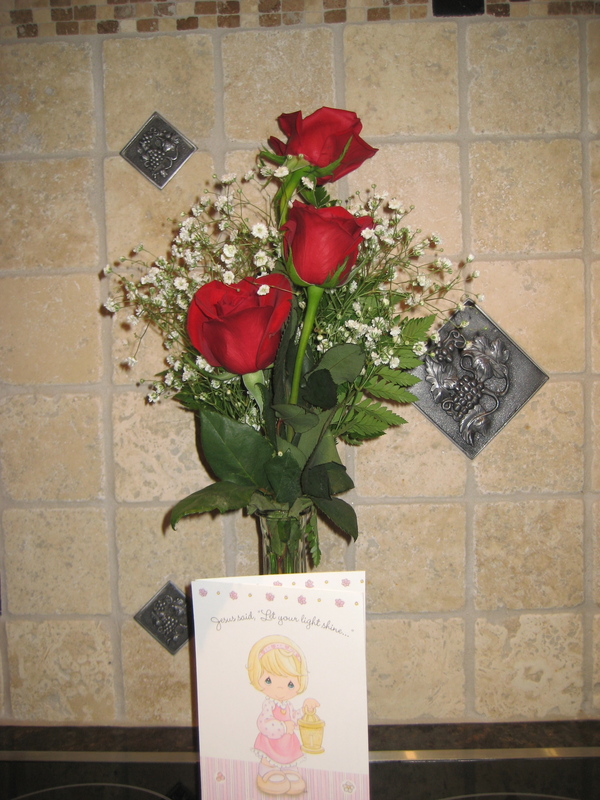 Before I finished writing this post, my husband came in the kitchen with a bouquet of roses and a card for ME! 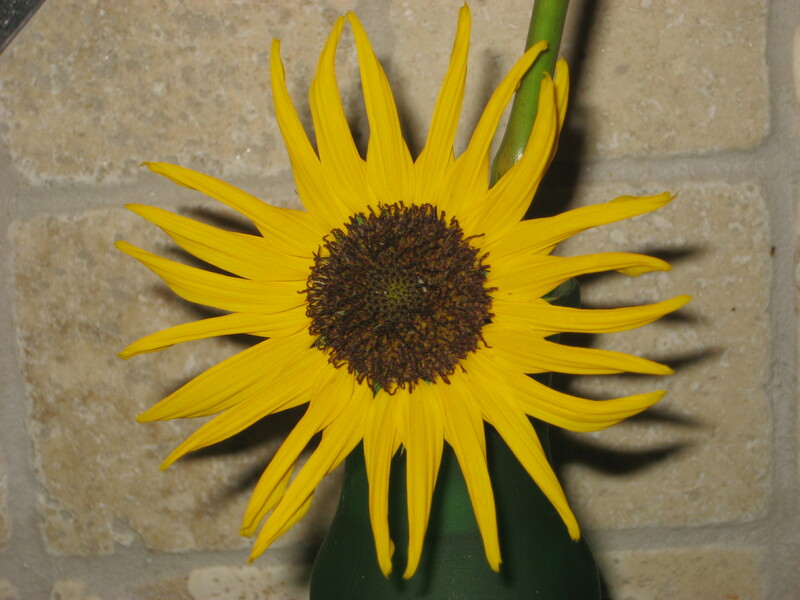 And the Lord surprised me with a sunflower in my backyard that came up from seed. I’m undone by God’s mercy and Tom’s love! Have you ever felt irritable with your spouse over insignificant things? Or maybe you’ve had significant things over which to fret? Have you discussed these issues with God? Have you asked His perspective? Many times God uses situations we think are for others when He is actually after something in our own hearts. He’s willing to tell us – but He often waits for us to ask! We’d love to hear from you! 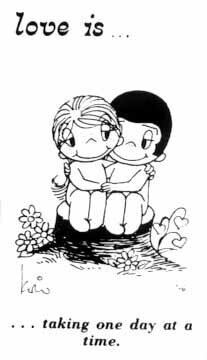 This entry was posted in Christian Marriage, communication, Growing Strong Marriages, Love is. Bookmark the permalink.